You must select an option for this product. If you are not completely satisfied by our product, let us know, and we will make it right! Not Sure What You Need? Create a custom request now and an ePropelr Coach will call you within minutes to discuss available options. After hours? A Career Coach will reach out to you within the first hour of the next business day. Why Should I Use ePropelr for My Job Search? We are an experienced and dynamic team made up of Recruiters, Writers, HR experts, and Executives with over a decade of experience in the hiring industry. There isn't a situation we haven't encountered, or a problem we can't handle. After your purchase is complete, you can expect an introductory call from your Coach by the end of the next business day. This call will review your purchase, discuss your background and goals, and establish how we can best meet your needs. We need a little bit of information from you to make sure you get OUTSTANDING results—but we've worked hard to make this part easy and fun for you. Our online questionnaire gives us the details we need in order to help you. Complete it whenever you have a few minutes and then click the "submit" button to send it to your Coach. We'll take it from there. Purchase the product here. As soon as you hit the "Add to Cart" button, head to the shopping cart to check out. You'll create an account with us and need to take note of your user name and password. After your purchase goes through, we'll have a few questions for you. Log in to your account and look in your "Orders" for access to our special questionnaire. You should also receive an email letting you know how to access the online questionnaire. Complete the questionnaire and submit your responses. After we receive your order, look out for a call from your Coach. This should come by the end of the next business day. If you can't complete the full questionnaire right away, no problem! You'll still receive a call from your Coach to confirm your purchase and talk about your objectives. If you're under a deadline or wanting to schedule your service for a future date, just let us know. A Career Coach is available 8am - 5pm EST to answer questions or to help you place your order. Give us a call now at 844-577-1940. If you prefer reaching out via email, fill out the contact form to the right and we’ll get back to you in a matter of minutes. 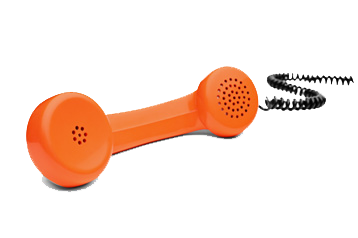 If your call or email comes in after hours, we promise to reach out to you first thing on the next business day. Our Career Coaches have over a decade of hiring experience and are ready to help you with your job search. Our online, self-paced programs and coaching will help you quickly accomplish your career goals. Our coaching services deliver a great value and they’re priced for every budget. Choose from our large menu of services or just pay for a little bit of customized coaching time whenever you need it. We promise to go above and beyond to help you and we want you to be thrilled with our work. If for any reason you aren’t happy with any of our services, please let us know and we will work to make things right!